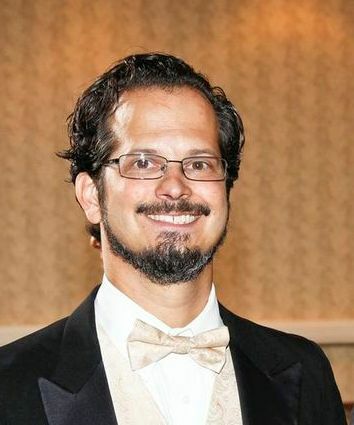 For 15 years, Mark Sforzini was principal bassoon of the Florida Orchestra. But he left that tenured position in 2007, the year before the bottom fell out of the economy, to make a bold leap into the unknown and found an opera company. Since its inaugural production in 2007 of La Bohème, St. Petersburg Opera has presented more than 20 operas and attracted a loyal and ever growing following. Its offerings include not just standard repertoire, but a healthy complement of less familiar works such as Samson et Dalila, Ariadne auf Naxos, Susannah, and Norma, most making their Tampa Bay area debuts. Stephen Sondheim’s musicals are in the mix as well. With a 2014–15 budget of $850,000, St. Petersburg Opera is casting more and more singers with credits from major companies, and Sforzini and his creative team have drawn plaudits for inventive stagings at the Palladium Theater, a converted church that lacks an orchestra pit and wing space but makes up for its limitations with warmth and intimacy. In 2012, the company purchased a warehouse and undertook a renovation to include rehearsal space, costume and set shops, offices, and an art gallery; the $1 million capital campaign to pay for it is nearly complete. A key to the company’s success is Sforzini’s accessibility to the community through popular talks on opera he gives at local venues. He has a knack for entertainment that goes back to his youth in Alabama, where the opera-impresario-to-be was a 1979 World Hula Hoop Champion, a skill he put to zany good use in the party scene of Die Fledermaus.